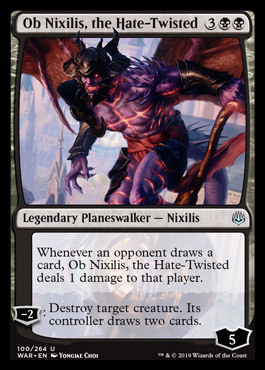 Whenever an opponent draws a card, Ob Nixilis,the Hate-Twisted deals 1 damage to that player. 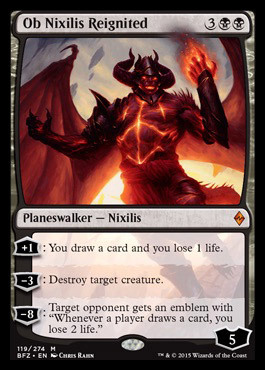 [-2]: Destroy target creature. 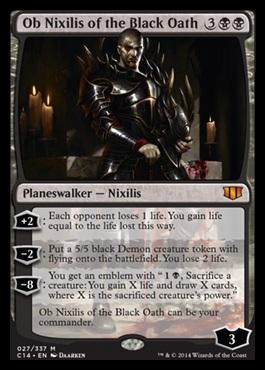 Its controller draws two cards.